Mortgage Fraud Allegations Defense Attorneys - Oberheiden, P.C. How Can I Defend Against Mortgage Fraud Allegations During a Divorce? At the time of divorce filings, many couples own real estate property jointly and have gone through a mortgage application process together. Mortgage applications typically conclude with a statement that all information provided is accurate and true under penalties of perjury. By signing the mortgage application, each spouse swears that the information contained therein is correct and accepts civil and criminal liability for any information that is not true. In some cases, when the partnership between husband and wife breaks apart, one spouse will claim that the information contained in the mortgage application is not fully accurate. The spouse may claim that his/her signature was forged by the other in order to escape financial liability for the mortgage debt. The spouse may also report, or threaten to report, inaccuracies on the document to authorities in order to accuse the other spouse of mortgage fraud for the purpose of obtaining an advantageous child custody arrangement or a favorable financial settlement. What exactly is mortgage fraud? Mortgage fraud refers to the act of making material misstatements or omissions on loan documents. 18 U.S.C. § 1014. In other words, mortgage fraud involves obtaining a mortgage from a financial institution under false pretenses. The penalties for mortgage fraud include up to ten years in federal prison and fines of up to $10 million. Allegations of mortgage fraud are investigated by the Federal Bureau of Investigation in coordination with the local United States Attorney’s Office. Taking out a second mortgage on a home to cover the down payment on the first mortgage without informing the first mortgage holder of the second loan. 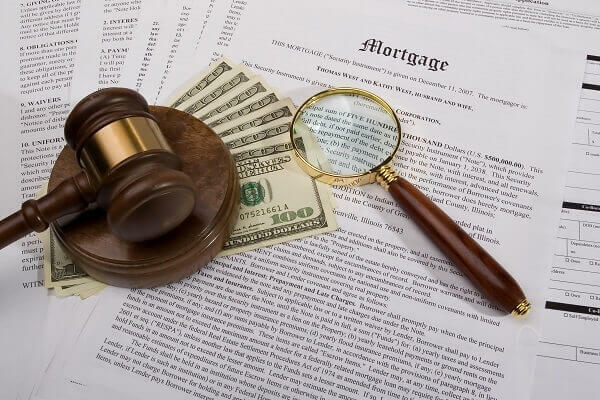 What makes mortgage fraud particularly dangerous is the fact that it is often charged in connection with bank and wire fraud. The moment someone submits a fraudulent mortgage application, the US Attorney’s Office has the option to also charge that individual with bank fraud or wire fraud – two additional federal felonies. It is important to understand that mortgage fraud is not just a federal offense, it also constitutes a felony. You should never take federal felony allegations lightly. Notably, mortgage fraud is also a state offense in many states, including Florida and New York. In the experience of the former state and federal prosecutors at Oberheiden, P.C., the sooner someone accused of mortgage fraud obtains a criminal defense attorney, the more likely that person will be able to avoid criminal charges as the result of the accusation. Therefore, we strongly encourage spouses who are accused of mortgage fraud before, during or after a divorce to immediately consult with experienced criminal defense attorneys instead of leaving the criminal accusations to be handled by their family lawyers. Too much is on the line. If you are a medical professional, for example, a careless defense of a mortgage fraud charge could jeopardize your medical license, your practice, and ultimately your livelihood because pleading to or being found guilty of a felony will likely force you to forfeit your professional license and may cause other restrictions on your personal and professional life. The attorneys of Oberheiden, P.C. have the experience and knowledge necessary to evaluate and assess whether a mortgage fraud allegation has merit or whether it is just a blank threat in the context of a contested divorce. If you are accused of mortgage fraud during a divorce, please call the attorneys of Oberheiden, P.C. today to discuss effective defense strategies that can defeat the allegations against you before they become a case.